If you haven’t checked out Marvel Rising yet, get ready because we have the lowdown on the new series and film. My daughter is a big fan of the Marvel Rising series. With a focus on some pretty great female characters, it was the perfect series for my older daughter. She is already eyeing the new Marvel Rising toys! If you aren’t familiar with the Marvel Rising comics, you can get to know these characters in the animated shorts, Marvel Rising: Initiation. It gives you a look into the storyline that will play out with the series as well. Catch up on all of the episodes right here! 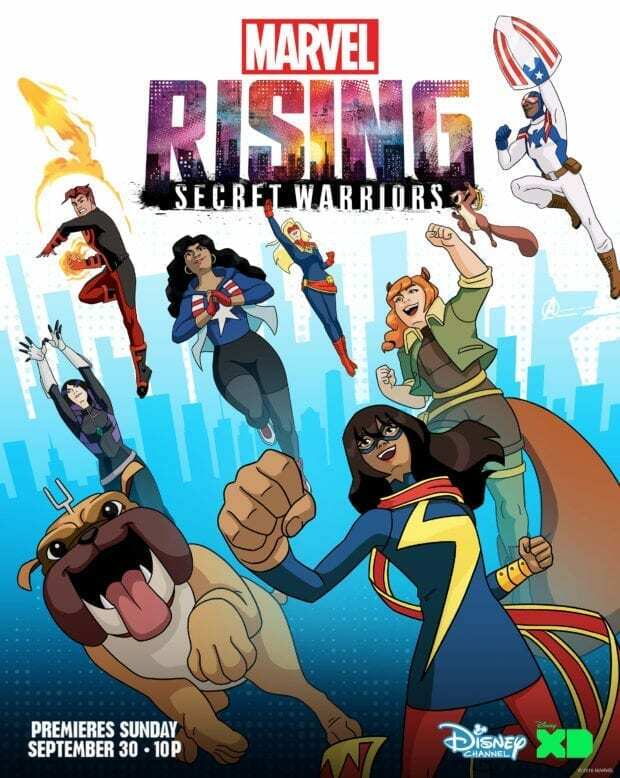 After you’ve watched the shorts, gear up for the animated film “Marvel Rising: Secret Warriors” that will premiere simultaneously on Disney Channel and Disney XD on Sunday, September 30, at 10:00 p.m. EDT/PDT. Here is the trailer. In Marvel Rising: Initiation, we follow Gwen Stacy the Ghost-Spider (formally Spider-Gwen) as she tries to clear her name. We hear more about the Inhumans and the Terrigin wave that turned a lot of people into Inhumans. 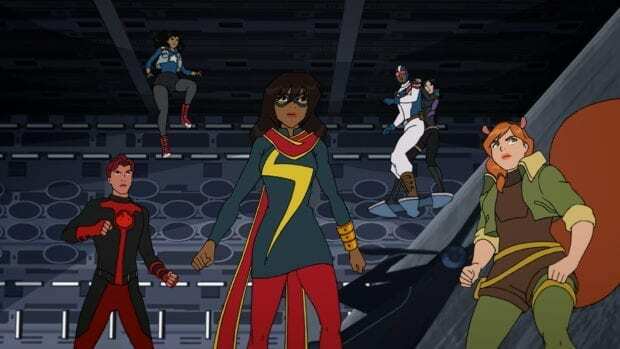 Fast forward to Marvel Rising: Secret Warriors and we follow Kamala Khan aka Ms. Marvel on her journey to be a superhero just like Captain Marvel, her idol. The teens work together with leading S.H.I.E.L.D. agent Daisy Johnson aka Quake to uncover a sinister plan. My daughter was a little bummed out that the Ghost-Spider wasn’t in the movie, we are holding out hope that we will see more of her down the road. 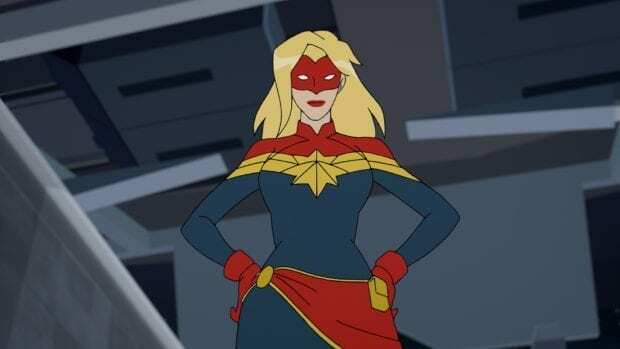 You do get to see Captain Marvel though and that just makes her upcoming movie debut even more exciting. Make sure you make it through the past some of the credits because in true Marvel fashion we are treated to a surprise appearance by a certain Avenger! We really loved this series and hope it is just the start for a new wave of Marvel fun for the younger generation. We can’t wait for more.